BAFTA/ Richard KendalThe EE Rising Star Award honours a young actor or actress who has demonstrated exceptional talent and ambition and has begun to capture the imagination of the British public. 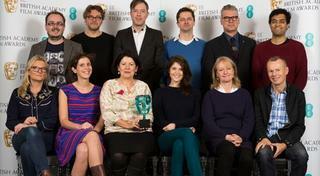 It is the only award voted for by the public at the EE British Academy Film Awards in 2014. 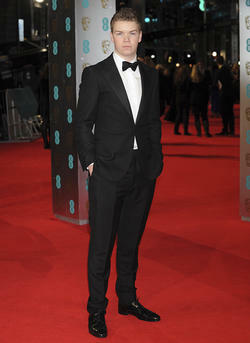 In 2014 the hotly contested accolade was won by up-and-coming acting talent Will Poulter who beat four other international actors, all nominated for their exceptional talent. The other nominees were; Dane DeHaan, George MacKay, Lupita Nyong’o and Léa Seydoux. The Award was presented by Eddie Redmaybe and previous EE Rising Star Awards nominee Alicia Vikander. Will Poulter made his feature debut in the quirky British comedy Son of Rambow, where he gained critical acclaim and earned himself a nomination for most promising newcomer at the 2007 British Independent Film Awards. He has proved to be as comfortable with Hollywood A-listers as he is with small-budget Brit flicks. He recently took the lead in Dexter Fletcher’s gritty UK independent film, Wild Bill and more recently starred alongside Jason Sudeikis and Jennifer Aniston in the outrageous We’re the Millers. His performance in Wild Bill saw Will pick up a nomination for young British performer of the year at the London Critics’ Circle Awards. 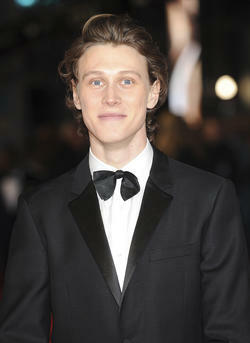 George Mackay began his film career aged 8, when he landed the role of Curly in PJ Hogan’s Peter Pan. A series of impressive roles followed and in 2009, George earned nominations from the British Independent Film Awards and the Critics’ Circle Awards for his performance in Scott Hicks' The Boys Are Back. George featured in three acclaimed films released in a single month, in October 2013. He took the lead role in musical Sunshine on Leith; he played a tortured survivor in For Those in Peril for which he won a British Academy Scotland Award; and he played Eddie in Kevin Macdonald’s apocalyptic tale How I Live Now. Léa Seydoux is a young actress with an enviable array of accolades from French cinema and television. Now she’s gaining worldwide attention for her roles in high-profile international films, including Quentin Tarantino’s Inglourious Basterds, Ridley Scott’s Robin Hood and Woody Allen’s Midnight in Paris. She has recently taken on her first action role in Mission: Impossible - Ghost Protocol and played the lead character in Farewell My Queen – which went on to win the Louis Delluc Prize for best French film. This year, Léa shared the Palme d'Or at the Cannes Film Festival alongside director Abdellatif Kechiche and co-star Adele Exarchopoulos, for her intense and powerful performance in Blue is the Warmest Colour. 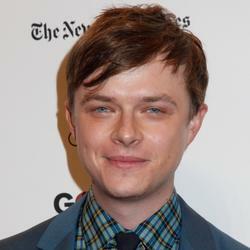 Dane Dehaan became one of the most talked-about young actors in Hollywood, thanks to his highly praised stage and television roles, including Jesse in HBO drama In Treatment. He gained more plaudits for his starring role in the camcorder superhero film Chronicle in 2012. Last year, he featured in Steven Spielberg’s Lincoln, starred opposite Ryan Gosling in The Place Beyond the Pines and DeHaan was recently seen in Kill Your Darlings opposite Daniel Radcliffe. Next summer, Dane will line up alongside Andrew Garfield and Emma Stone in The Amazing Spider-Man 2, as Peter Parker’s old friend Harry Osborn. 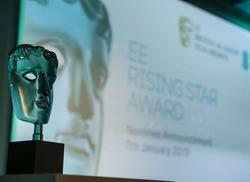 The EE Rising Star Award is the only award at the EE British Academy Film Awards to be voted for by the public. Now in its ninth year (previously the Orange Rising Star), the award has set a standard for identifying talent destined for future film stardom. The award was created in honour of Mary Selway, the highly respected BAFTA-winning casting director whose career spanned three decades and over ninety films before she died in 2004.